“Government Against the People” is among those who have quoted 36,000 as the number of Americans who die each year from the seasonal flu. It turns out that figure is significantly higher than the true number. We have been telling you recently about phony data from the government. Here is another egregious example—and no one in the major media seems to know or care. For years, the Centers for Disease Control (CDC) has been citing an annual estimate of 36,000 deaths from flu. 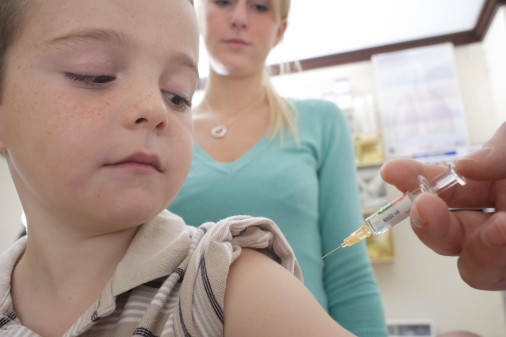 That figure has been used to justify mandatory flu vaccination for children and has been parroted the world over by news organizations that never question its validity. Last week the CDC released new figures: rather than 36,000, the three-decade average is actually 23,607 deaths, a full one-third fewer people than previously cited. But even these new figures are actually fabricated and false. The CDC has always used a mathematical estimate based on an assumption that if a death certificate had “respiratory or circulatory disease” listed as a cause of death, then it should be counted as a “flu-related” death! The Journal of American Physicians and Surgeons has been highly critical of the CDC’s methodology. Read more at Alliance for Natural Health. The beauty of the vaccine scam is that the drug makers always have deniability—they can always say there’s no link between a vaccination and an adverse reaction. As long as adverse reactions are collated informally, as they are on this Web site, the drug makers can dismiss the cases as being “anecdotal” and thus unworthy of a response. Since the GSK H1N1 vaccine was rolled out in late October, many people are reporting adverse side-effects from the shot. These reports are not being publicized, largely because there doesn’t seem to be anyone collecting them. Therefore, we decided to collect some data of our own, and created this page to find out what sort of damages are really being done by the flu shot. You are invited to participate, and help others decide for themselves whether or not to accept a flu shot. Read more at Canadians for Health Freedom.